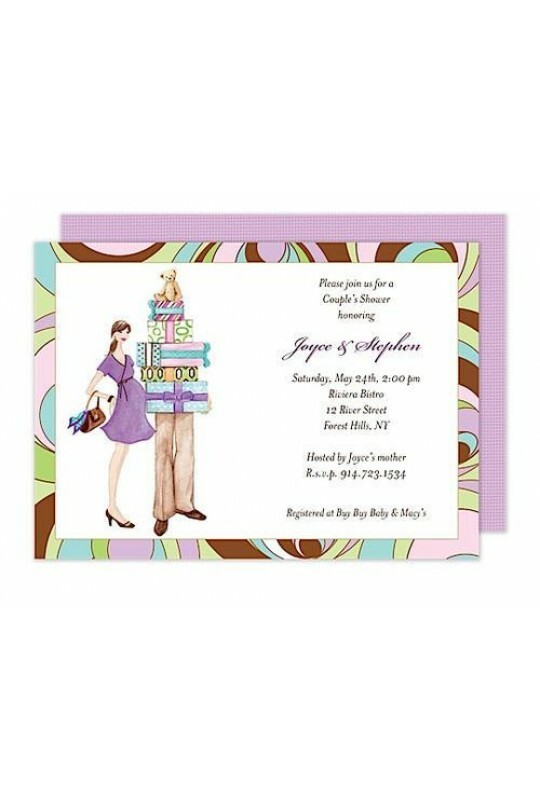 Mod swirls frame your wording and a couple laden with gifts on this fun baby shower invitation. 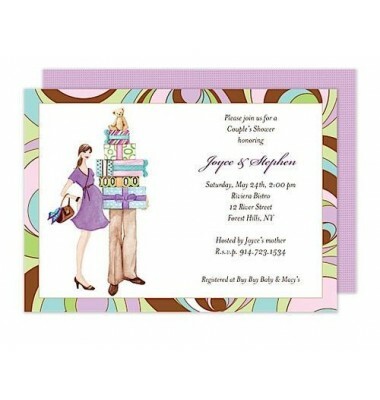 Colors include pink, purple, green, blue, chocolate and white. Includes blank envelopes. Perfect for a Couples shower.